The aircraft which has only 4 passengers landed at the Narita Airport this morning. It is beautiful day today. 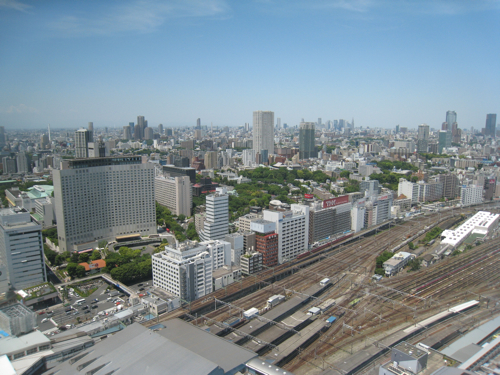 I checked in the hotel which is located next to the Shinagawa station. I can enjoy the great view from the room! I'll get a haircut this afternoon, and I'll meet my friend and her family in Yokohama! I haven't met them many years, so I am really excited to meet them.